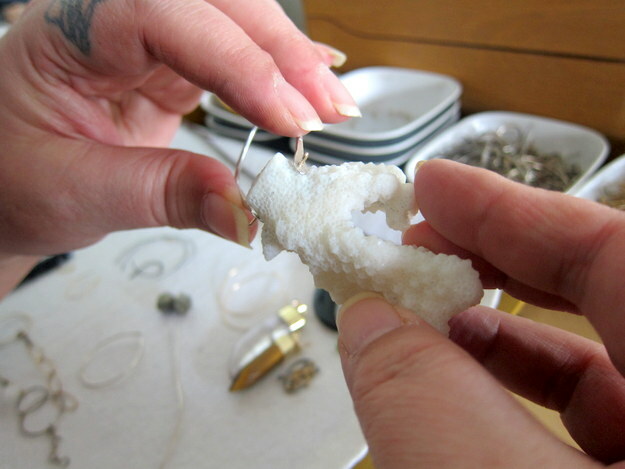 We stopped by jewelry designer Regina Chang’s studio on a light-filled morning to talk to her about silver vs. gold, her favorite gemstones, and watch her begin to turn a piece of coral into a pendant. 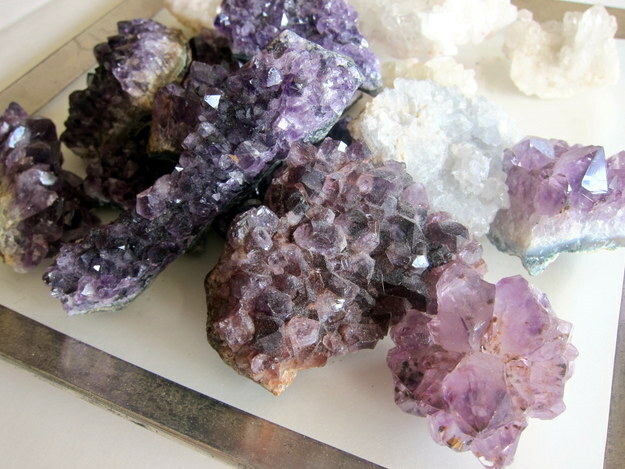 The luscious jewels in her work caught the sunlight like rock candy. Take a look around with us, won’t you? I’m drawn to nature. The beauty of it, of course, but beyond that it’s the idea of imperfection that I’m captivated by. Nature is perfection, yes, but it’s also about damage, asymmetry and flaw. I’m fascinated by all this probably because despite any natural blemish, nature is still so gorgeous. In our human reality, a physical flaw is something to be fixed or covered up. 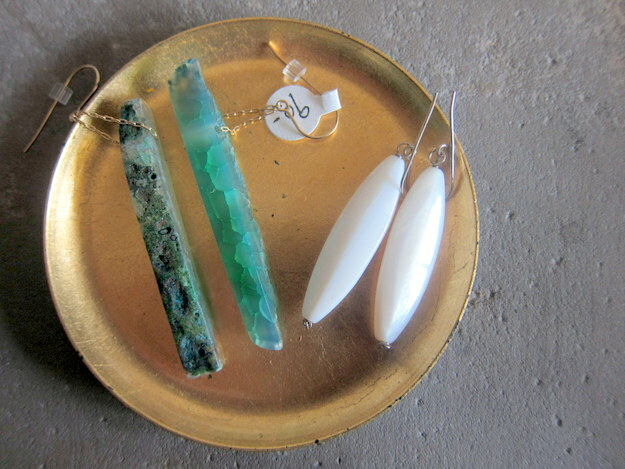 I try to make room for nature’s realities in my work – I prefer materials that remain mostly in their natural state: sliced agates with their rough exterior intact, gnarly baroque pearls, or a knotted metal hoop that’s pounded by hand and a little bit wonky. I want my work to be relaxed the way nature is – it just is, nothing is forced or fake. 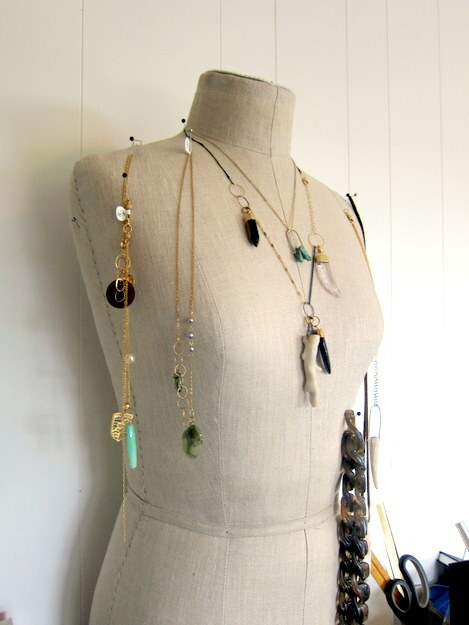 I want my clients to wear my pieces and feel powerful without being overpowered. 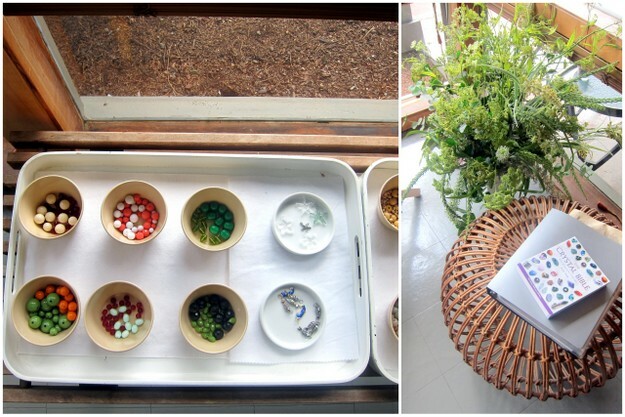 Tell us a little about the path that led you to jewelry making. Part of my childhood was spent in Hong Kong. I remember window-shopping with my mother and she’d point out all the best pieces in terms of gem size and quality in tasteful settings. To her dismay, I was partial to the cheap stuff! To me, fine jewelry was (and often still is) a tad tame. 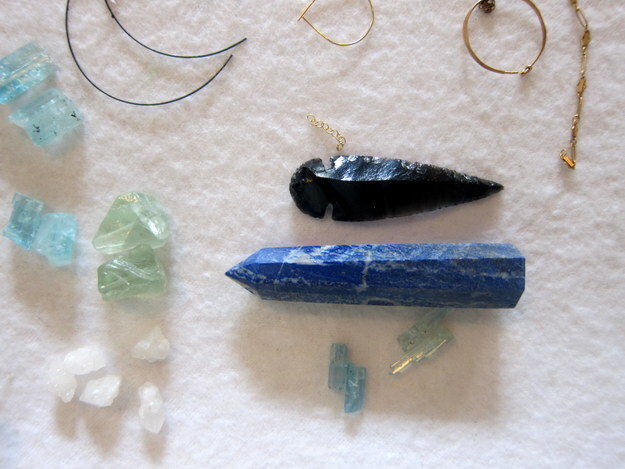 I liked the more elaborate pieces with rougher-looking, natural semi-precious stones and spunky settings. My mother would give me her old costume jewelry and I’d take them all apart and make them up again to my liking. 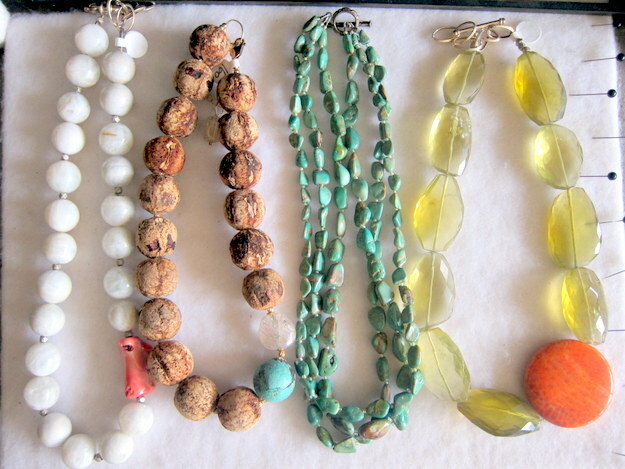 Jewelry-making became a life-time hobby and a few years out of college, I transitioned from my job reading scripts in Hollywood to a full-time bead & wire jeweler. Any favorite gems or colors for spring? What pieces have been the most popular at KOBO? My hammered pieces with and without stones have been well-received at KOBO I think because KOBO’s clientele understands and appreciates simple, understated beauty. 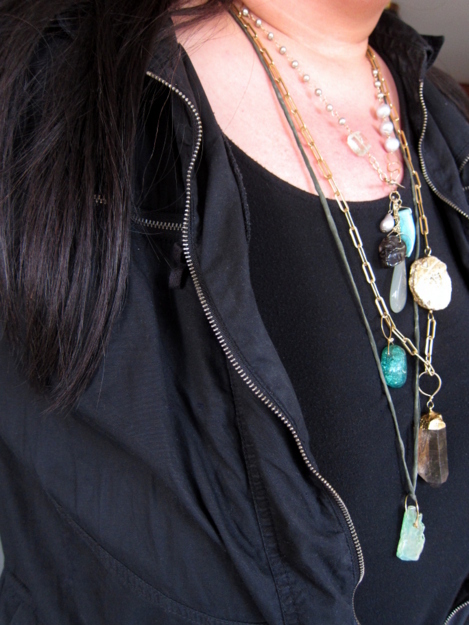 My pieces dress up or down so you can go from work to play without being so obvious or loud about it. What has it been like working with (KOBO co-owner) Binko? Binko is a jewel! She is very respectful of her artists and she really trusts us, I think, which makes for not only an easy transaction, but a really wonderful working relationship. If she weren’t always so busy, I’d be first in line to be Binko’s best friend. My work aside, I am always shopping at KOBO, Binko has exquisite taste. 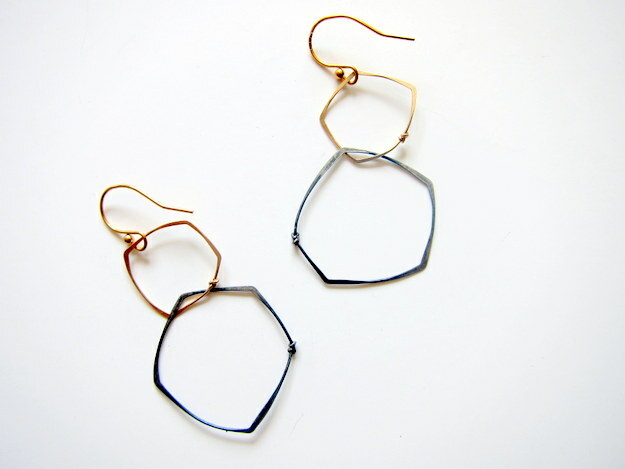 Find Regina’s earrings on the KOBO site, or find a wider selection at either of our locations.